On the fourth day of the regular one-day training, held on September 27, pedestrians had the opportunity to learn about digital marketing and e-commerce. The training was conducted by Stefan Aleksić, Marketing Manager at Amplitudo LTD. 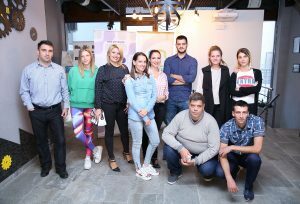 The young entrepreneurs had the opportunity to get acquainted with the philosophy of inbound marketing and inbound methodology, which is not represented in digital marketing when Montenegro is concerned. 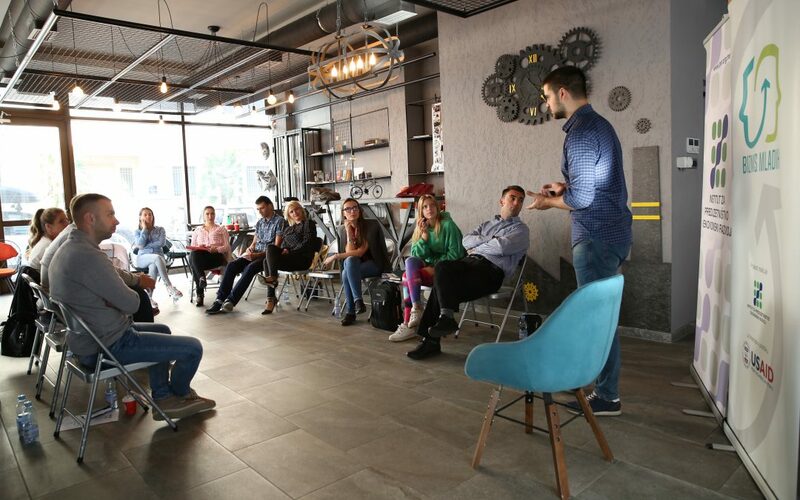 Most of the participants were not aware of this topic, and as inbound marketing is the best way for small businesses and start-ups to be positioned in the digital world, this training came at a perfect moment for them. More about social networks, strategy and optimization, as well as the way of advertising on all social networks individually, was discussed in the second part. As everyone in the group has knowledge from different fields and work in different industries, they exchanged views on their digital channels and received advice on how to improve social networks, and hence the business of companies. Also, special attention was focused on the importance of e-mail marketing and the way in which we use inbound methodology to reach potential customers using email. This was an opportunity to learn how to use social networks to improve sales of their products/ products or to position themselves on the market. 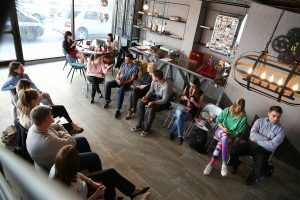 ‘All participants responded with interest to the story of Inbound Marketing and actively participated in exercises both in that part and in the part of marketing on social networks. 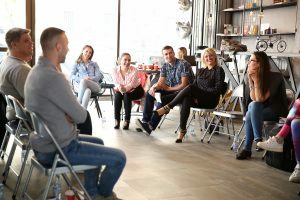 For this reason, I am very pleased that all participants recognized the importance of this type of marketing and expressed the desire for further training in this area’, said Stefan Aleksic, Amplitudo LTD.